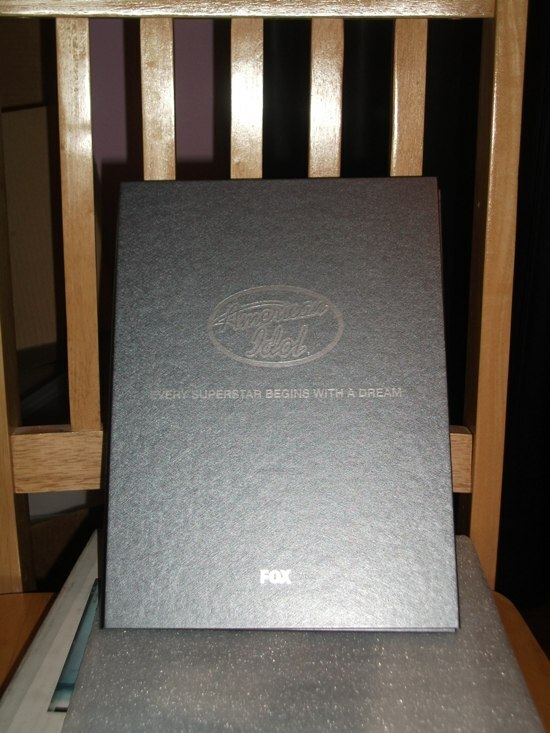 I want to thank the Fox VIP program for sending me some awesome gifts (pictures below). A 10-year shelf life is a long time for an American television show, even more rare for a reality show. This year I was determined not to watch American Idol. It was hard for me to watch the show in season 9 in the shadow of the unique talents of Adam Lambert from season 8. It was difficult for any of the season 9 contestants to win me over, although some eventually did. When I heard Simon Cowell was leaving, I thought that was the death of American Idol. As much as I love Steven Tyler and Jennifer Lopez, I never pictured them in a judging capacity. I missed the first night of auditions. While I was watching Fox 26 Houston 5:00 news the next day, Joey Guerra, the music critic from the Houston Chronicle, was on and he said the judging vibe was very different this year. Knowing I was likely going to regret my decision, and adding yet more television viewing hours to my already packed schedule, I tuned in. He was right. The judging screamed of Nigel Lythgoe’s handiwork; it was very similar to the So You Think You Can Dance auditions, another show that I love. We will see how this all turns out. 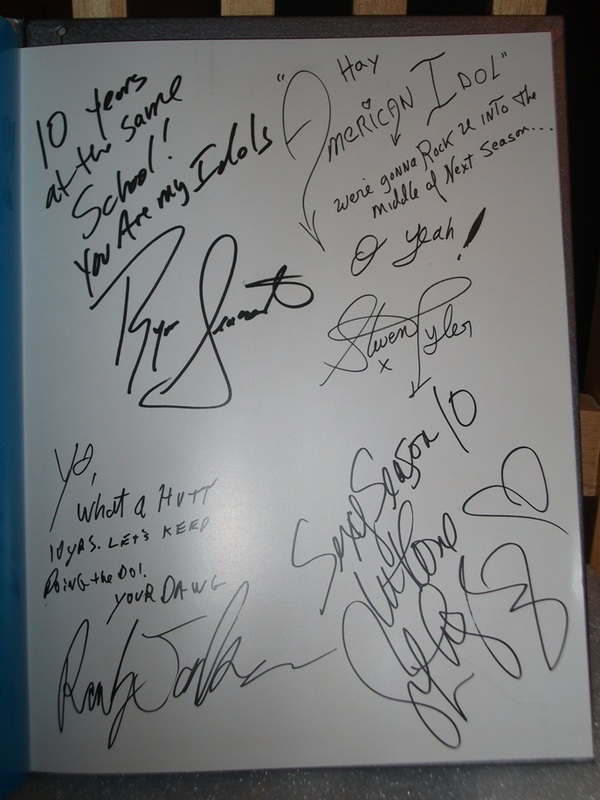 From Fox VIP, autographs of the principals. In the meantime, I have two favorite memories of Idol. My favorite memory is the one that lives in my imagination where Adam Lambert is declared the winner of American Idol Season 8. 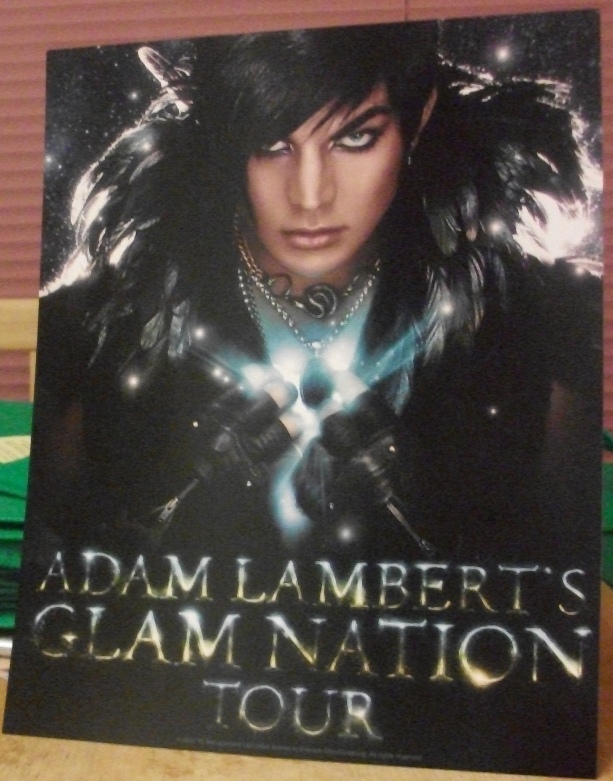 While Kris Allen showed a lot of growth during season 8, Adam Lambert was the standout global superstar. I consoled myself knowing how successful Chris Daughtry went on to be by putting in the hard work not only in his music, but in building his fan base. Adam would be just fine. Tonight, he will be at the Grammy’s, having been nominated in the category of Best Male Pop Vocal Performance for his hit song “Whataya Want From Me.” The category has some stiff competition. 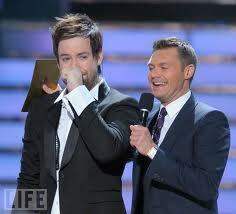 My favorite memory that became a reality was the night David Cook won. Having been so invested in Chris Daughtry in season 5, as a fan I felt like the world of rock deserved this moment. Somewhere in the weeks leading up to the season 7 finale, David Cook transformed into this phenomenal talent. From the beginning of the show until the end of the show, he showed more growth to me than David Archuleta who, while amazingly talented, remained consistent. The irony of that statement does not escape me: The same thing I praised David Cook for in season 7, I faulted Kris Allen for in season 8. I dialed relentlessly that evening to make sure that my votes indeed counted. I waited with visibly shaking nervous twitches, just as those famous YouTube teen girls did, waiting to hear David’s name being called, David….Cook, not Archuleta. I was in my office doing some work for my employer. The howl that erupted from this office made my husband come running in to see what had happened to me. He thought I had hurt myself, that I was laying on the floor, having hit the wall or something. HE WON!!!!!! “Good God”, he replied before walking out of the room, shaking his head in a look that displayed mild amusement and mild disbelief. 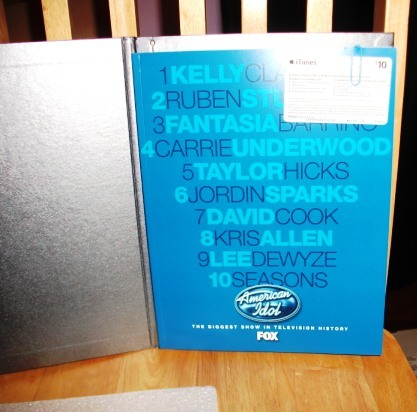 So my readers, over the last 10 years what has been YOUR favorite American Idol moment? Also looking forward to Cook’s new album soon! Thanks again for the look back! Thanks for leaving a comment. It does go to show also that no matter what “place” you end up on Idol, if you are talented and work very hard, you’ll achieve great success.